I have mentioned on this blog many times before that I like the idea of being vegan better than the practicality of it. Due to some major digestive issues I've been trying to sort out, I've recently toyed with the idea of doing a 21-day detox that includes a 3 day juice cleanse followed by a completely plant-based, gluten-free diet for the remainder of the time. 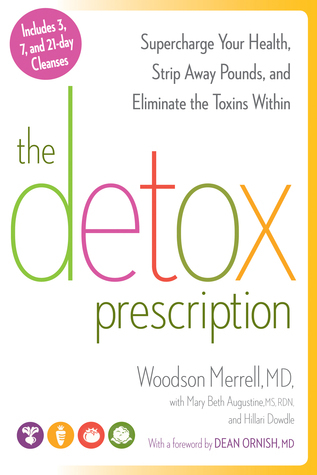 I haven't mustered the courage to put this plan into action as of yet, but I have tried some of the recipes in the detox, which come from the book The Detox Prescription by Dr. Woodson Merrell. 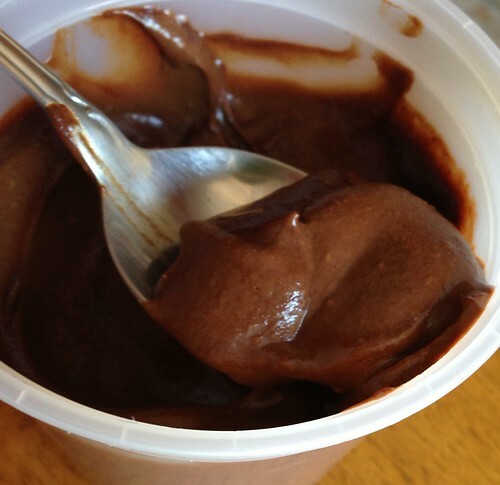 One of the recipes I recently tried that was absolutely delicious was a vegan chocolate pudding (Merrell calls it a mousse in the book but it has more the texture of a pudding than a mousse). One thing I have to point out here is that technically the original recipe isn't vegan since it includes honey, but if you want to follow the letter of vegan law, I suppose you could use agave nectar or maple syrup instead. The main reason this is classified as vegan in the book though is because the recipe calls for using coconut milk and avocado to create its creamy texture instead of milk and eggs. As someone who can spot a substitute a mile away and is very finicky about texture, I am here to say that this recipe is perfectly creamy and satisfies your chocolate craving.The best part about this pudding is that it's actually easier to make than a traditional mousse or pudding because it involves absolutely no cooking. Just throw the ingredients in the food processor, refrigerate for a few hours and you're done. I have to say though, I'm going to assume the reason my version turned out more like a pudding than a mousse is because I just threw all the ingredients in at the same time, rather than just starting with the avocado and gradually adding ingredients. So if you prefer a mousse-like consistency, be more patient. If you don't care, just throw everything in at once. What's also great about this recipe is once you have the base down, you could get creative with it, using almond extract instead of vanilla and sprinkling some slivered almonds on top, or making a spicy Mexican version with cinnamon and chile pepper. In a food processor, blend the avocado for about 30 seconds, or until smooth. Add the honey, cocoa powder, vanilla extract, and 1 teaspoon of the orange zest (reserve the remainder of the zest) and process until mixed through. Add 2/3 cup coconut milk and process until smooth. If the mousse is too thick, add the remainder of the coconut milk to desired consistency. Spoon into three small ramekins, top each serving with 1 teaspoon of orange zest, and chill for 2 hours. Serve alone or with optional toppings. I am intrigued by this recipe. What an interesting use for avocado! That sounds delicious. A friend diagnosed her food intolerances using The Virgin Diet by J.J. Virgin. It has a horrible (lose 7 pounds in 7 days!) cover, but apparently on the inside it's an elimination diet that can be quite helpful. Oooh I like this recipe. Sounds so easy. I used to make an avocado pie that my guests always liked. I should dig out that recipe. I didn't realize that honey wasn't vegan! Interesting. Thanks for sharing this recipe. I'm in the same camp as shelleyrae - this didn't sound tasty to me, but I'm glad you found it to be!